As the standoff between right winged followers of Cliven Bundy in Nevada comes to an end, one has to wonder, who is behind this madness? Is this a poor farmer standing up to a big oppressive government or is there something even deeper than that? The Bundy Ranch, OathKeepers, and the Koch Brothers…the 1%’s revolution? The same people who are blaming President Barack Obama for this fiasco also called Occupy protesters communists, socialist, stinky, unkempt and hippies. Even though Occupy also protested against President Obama, these people hate Occupy. The difference between both the protesters in Nevada and Occupy Wall Street? Not one member of Occupy promoted violence. As a matter of fact, Occupy never demanded the dismantling of the government but to take it back from the right wingers and corporatists. 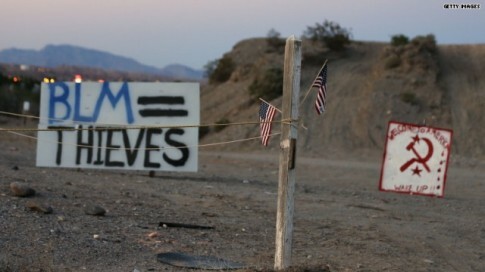 They also told Occupiers not to bring firearms to their camp while the folks in Nevada are armed to the teeth.